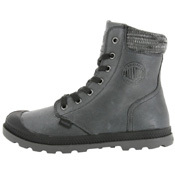 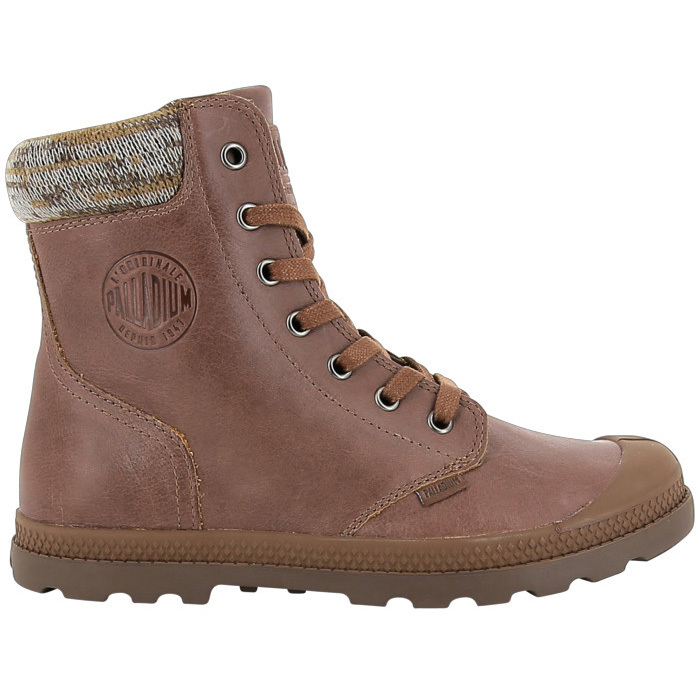 Palladium Boots’ signature Pampa style is interpreted as contemporary boots for modern explorers. 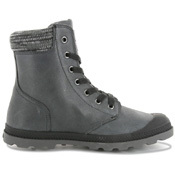 The military-inspired silhouette is adapted for urbanity in naturally tumbled, lightly waxed leather. 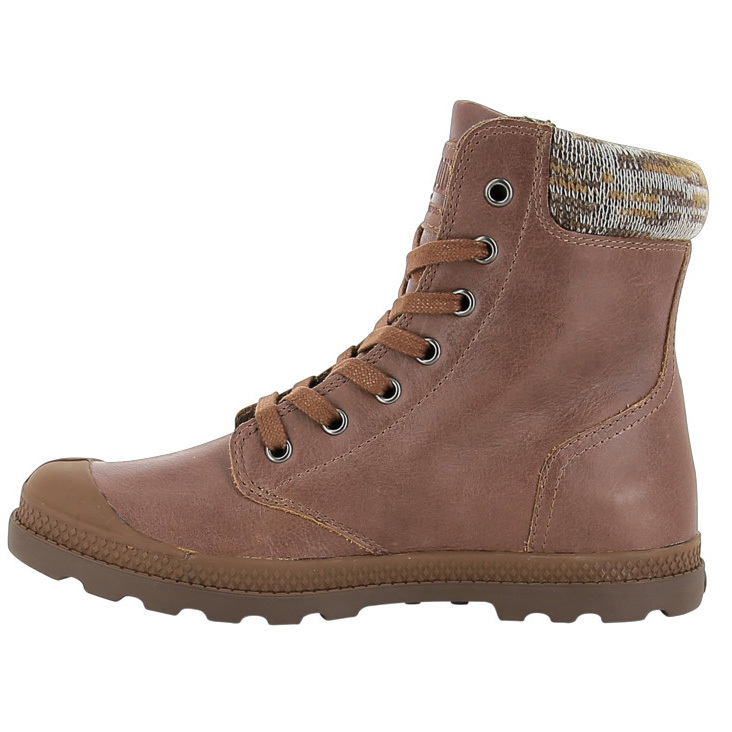 The subtly speckled knit cuff offers warm, padded protection around the ankle. The rubber toecap and seam match the leather for a streamlined effect. 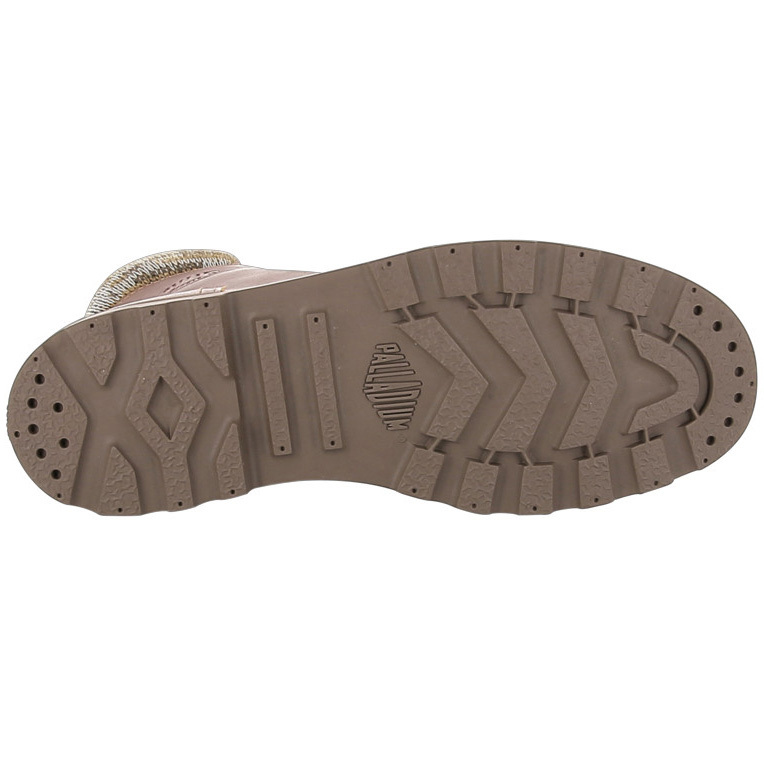 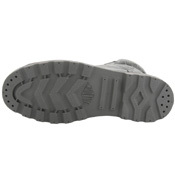 The rubber lug sole provides a good grip for stepping comfortably on diverse terrains.